Brian Crecente and I have each been using Kinect for over a week, playing and reviewing many of the launch games. Are you worried about living room space? Wondering about games or the dashboard? Ask away and we'll answer here. For more Kinect coverage, including reviews, gameplay videos and a lot more check out all of our coverage on the ambitious Xbox sensor. 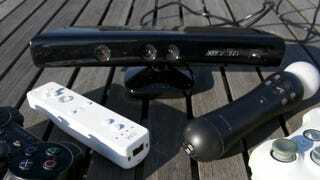 The Kinect is neither perfect nor terrible and we're ready to tell you whatever else you'd like to know. Update: Alright, folks, Brian and I have got to do some other things, but we hope that helps. If you have questions about space and lighting — the two most popular queries — we've answered them a bunch in the comments further down. Plus we'll have a round-up on those issues tomorrow.